Comserve Ltd offer domestic and commercial pressure washing services throughout Carmarthenshire. 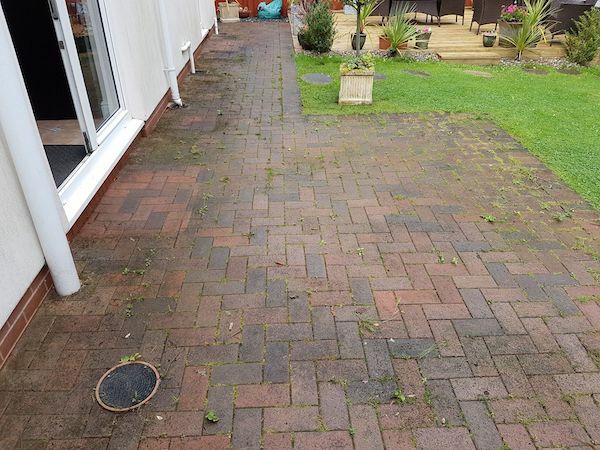 Our exterior pressure washing service can be for small areas such as a household patio or if you have a large building which needs a full pressure wash to restore it back to its original clean state. 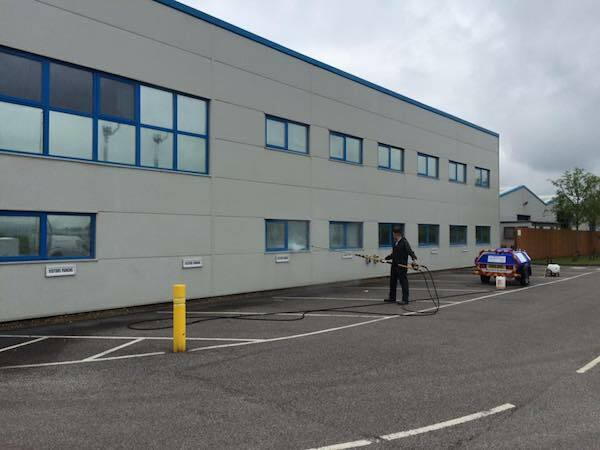 Comserve Ltd Pressure Washing Carmarthenshire – Using the latest pressure washing equipment we can provide a service whatever your needs may be. From high level pressure washing up to 40ft from the safety of the ground, to a whirlaway rotary surface cleaner that will clean a large are in no time. 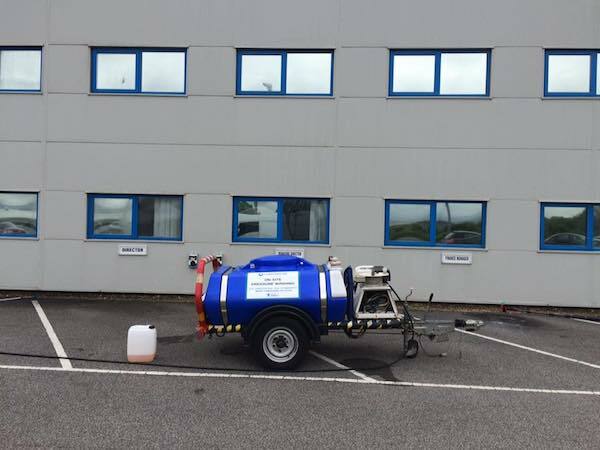 We can also provide mobile pressure washing without the need of electricity or a water supply (please specify if this is the case). 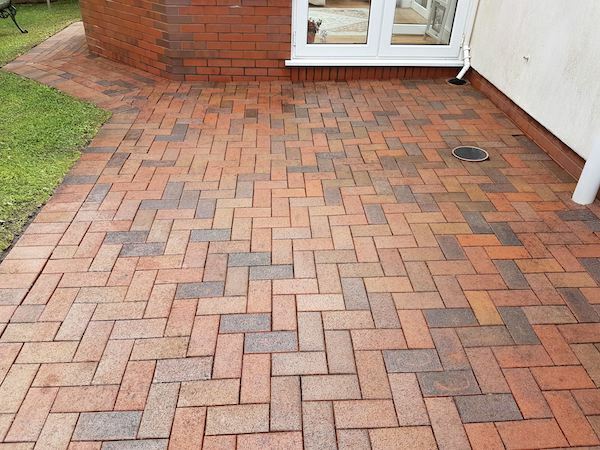 Comserve Ltd offer patio pressure washing services throughout Carmarthenshire. We take extra care of the surfaces we are cleaning ensuring that we use the right amount of pressure to not damage the surfaces underneath. 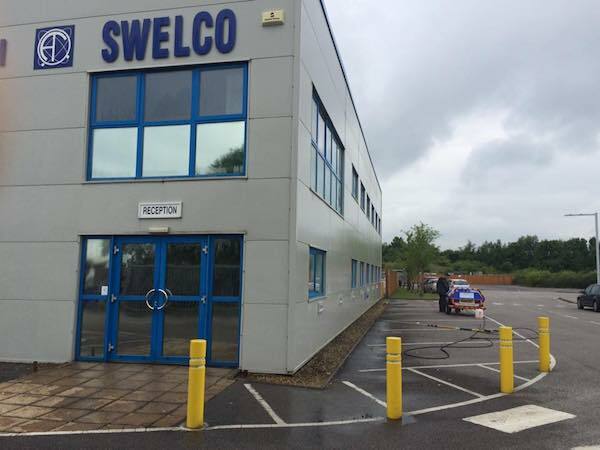 We also offer soft washing services for surfaces which require less water force. If you would like a quote for patio pressure washing, please contact us on 01269 832 640 or alternatively you can complete this quote form. 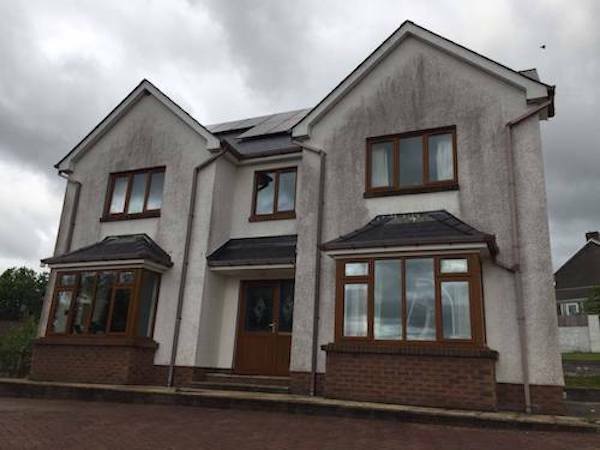 Comserve Ltd can transform the appearance of your house within a matter of hours. If you look at the images above, we removed all dirt from the render of the property within a few hours. The home was transformed ready for summer. If you want to give your home a refresh contact Comserve Ltd for a free quote on render cleaning. Please contact us on 01269 832 640 or alternatively you can complete this quote form. Fast results: 1-2 days will transform your home. No need for scaffolding: All work done from the ground. This process speaks for itself, just look at the images below and see the transformation that happens when we soft wash your property. .
Our Soft Washing service can eliminate the need to paint your home for many years to come. Soft washing is a low pressure system for cleaning your property that does not need the use of “High pressure cleaning” that can sometimes damage the finish on some buildings. 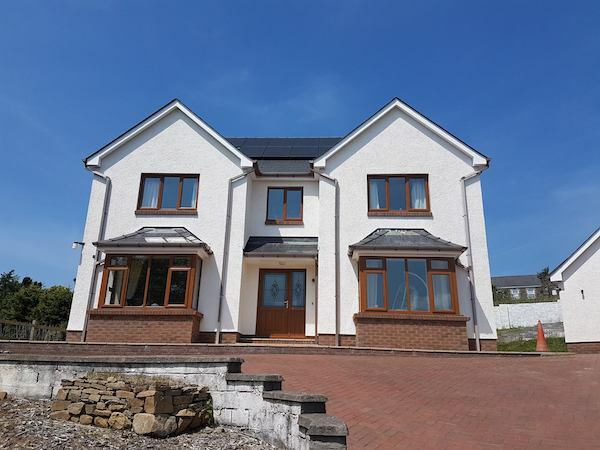 This system works well on all finishes including K-Rend, Rough cast, Smooth render, Brick, painted finishes and all others. Do you need some pressure cleaning at your property or site but have no access to water. We can provide an “On-Site” pressure washing service with our newly acquired Brendon Bowser Washer. This is a completely self-contained, mobile pressure washing unit that can get the job done! Keep up to date with Comserve Ltd – Read our Blog for latest news, offers and tips and tricks for cleaning!